Some people are born with a natural ability to keep things organized. 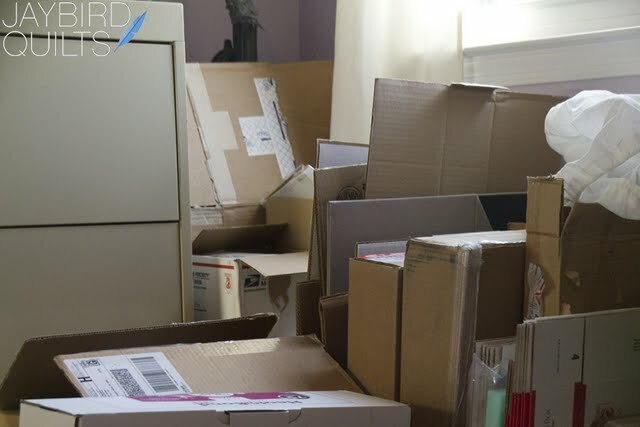 Some people have no ability to organize or purge belongings and end up on hoarders. Some people have a strong desire for organization and like to have everything in it's place, but need to work at it every day. They have to make a conscious effort to set up systems and follow the systems. They need to constantly evaluate the status of their desk, table, bedroom, closet and so on. When things begin to slip out of control they have to set time aside to put things back and put a new system in place. Call me OCD but I like my systems. If I told you that my Studio and every other place I take over from time to time was always neat I'd be lying. Between being gone for 3+ weeks and more things coming in than out my studio, bedroom and a few other spaces... they are not how I usually have them... and by no means how I want them. I gotta tell you that I love Peter Walsh. He works to get to the root of the WHY instead of just the WHAT. He was on Oprah yesterday and I wrote down a few things he said. "Flat surfaces should be clear." 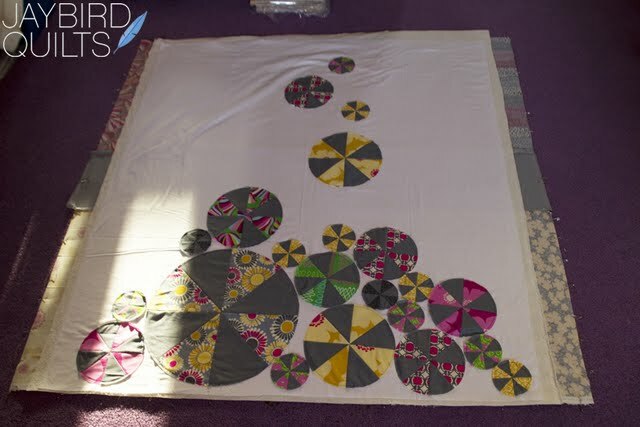 My floors often end up covered with quilts in progress. Especially during the basting phase. This is something that needs to happen but I'm going to work to keep the floor clear during non-basting times. Most of the time I'm good with this. Like my pre-cut leftovers all live in this organized bin in nice neat piles. "Make sure your stuff lives where it belongs"
Simple concept... a bit harder to execute sometimes. I often end up with a small pile on the floor like this because I have items that don't have a spot where they belong. When my spaces get out of order it gets hard for me to work. On the other hand it can be hard to be creative without making a mess. Somehow I'm going to find a happy medium. Peter walsh is my Hero! 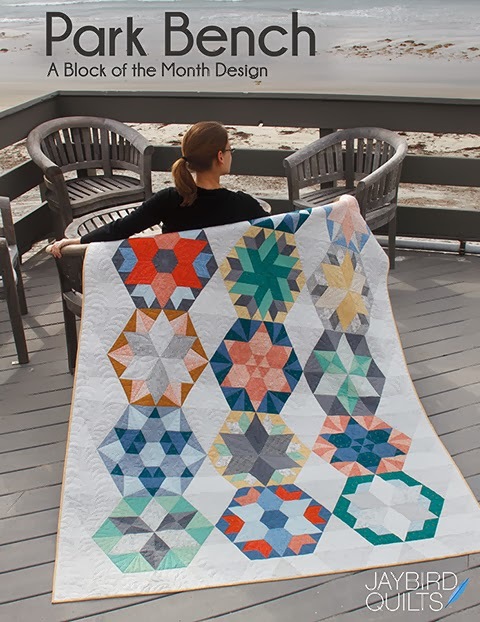 I also love the pinwheel quilt !! how happy it is ! I plan to be organized some time in my life ! I'm 1/2 way there , but do not follow through !!! Enjoy your process... it's what works for ya that counts most! There's something so satisfying about bringing order to chaos, even if I'm the reason it's chaotic to start with. I have a bad habit of stacking together the pre-cuts and fabric I've purchased for particular projects and leaving them around my workspaces. Maybe I think it will motivate me to finish what I'm working on at the current moment. 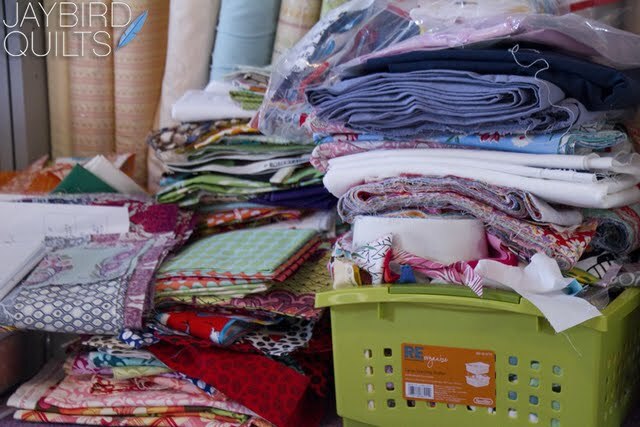 But it usually ends up just cluttering up the cutting table and ironing board. 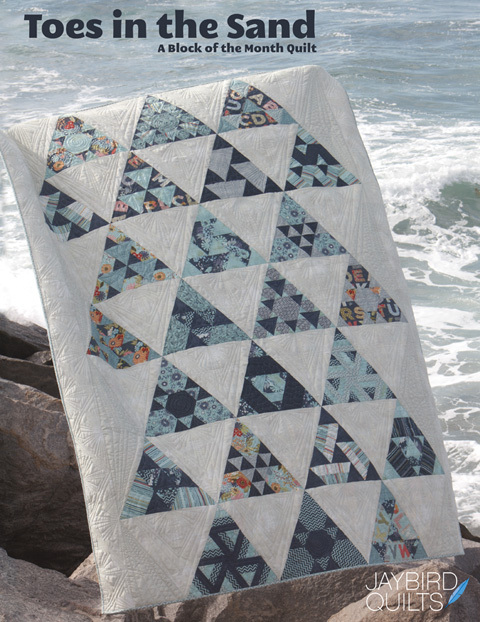 Love the pinwheel quilt! How fun. I need to re-organize my sewing room again. I am usually pretty good about keeping it on order, but then all of the sudden it's like an explosion occurred. Time again to sort and re-pile and get things in order. Much easier to work on a project without chaos all around! My obsession is making things have homes. If only the rest of my household agreed. 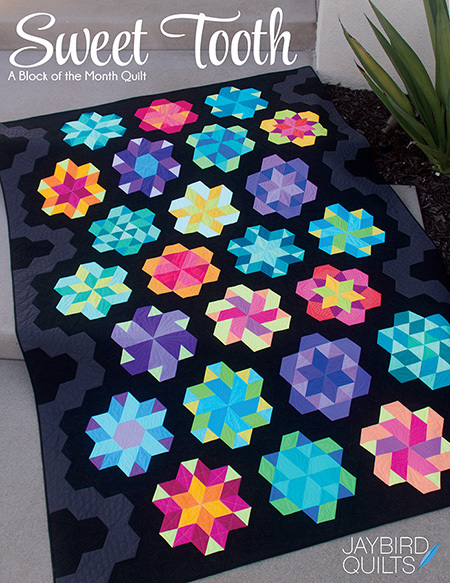 First of all, I love that quilt!!! Second of all, I am totally with you on being organized, but having to work at it. I can't believe I missed Oprah yesterday, sounds like I REALLY could have benefitted from it. Good luck with your goals. Love this post Julie - I think that all of us quilters go through phases like this. I know that I do. 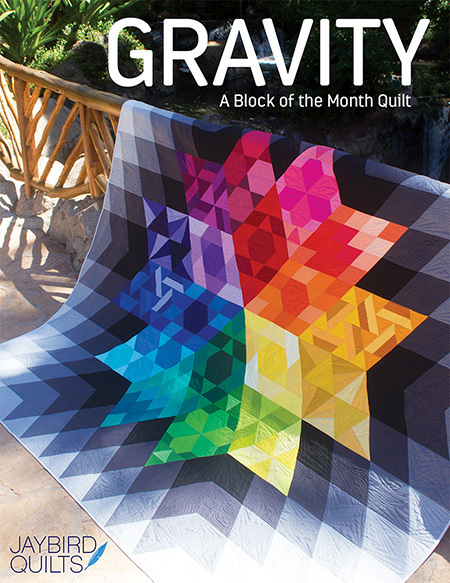 I through through spells where it gets totally crazy (like mid quilt) and then times where I just get everything tip-top. I am in a tip-top phase right now. I just wish I could be one of THOSE people...the super clean ones who are always organized. I'm not. I am far from hoarders, at least! You just described my organizational challenges to a T! 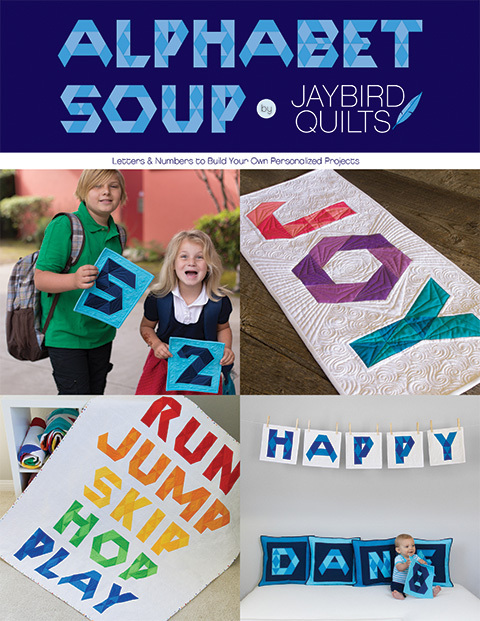 I am struggling to keep up with my quilting obsession and two little kids as well. It is a tough balance to stay on top of everything. 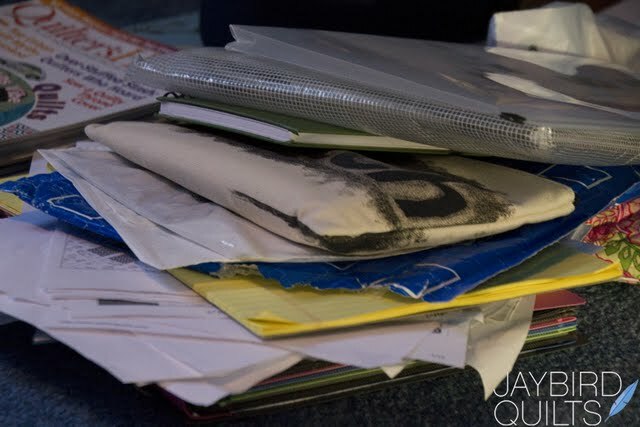 At the moment I am working on getting back to having everything in it's place but a major purge must happen! Have you caught Peter's new show on OWN yet? It is really good and offers tons of hints and help. :) Thanks for those brutally honest how it really looks pictures, makes me feel normal! 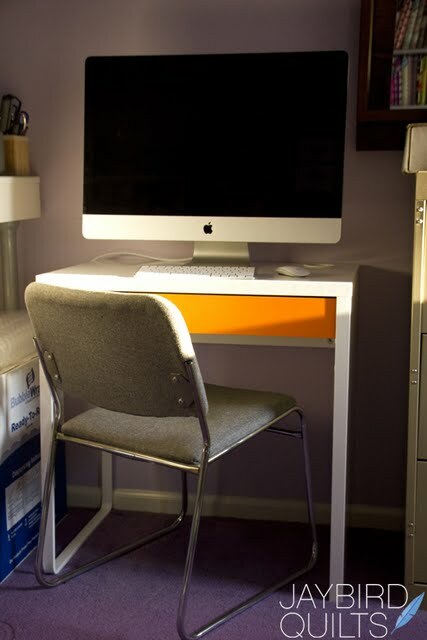 What you didn't mention is how some of us find a way to LOOK organized on the surface but opening the closet doors and cabinets can be very scary. 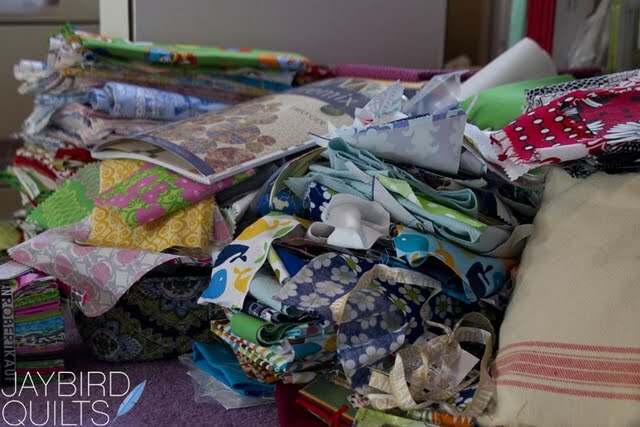 I realised last week that the stacks of pre cuts and yardage I've gotten this year...hmm...I have forgotten what I was planning for some of it. So an afternoon this weekend will be spent sorting and organizing, afterall its January! I'm with you... I like organization... and I have to have my work desk tidy at all times. 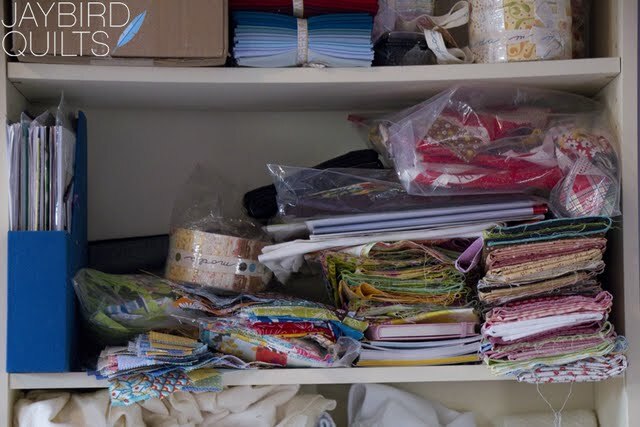 But my sewing room, gets to be messy/cluttered a lot of the time. So all things stop and the organization begins. 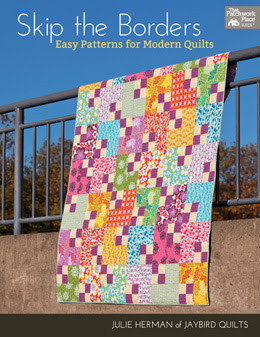 I love your quilt our of the Remix book. Fantastic!!! Now I want the book for sure! I really like Peter Walsh too! He makes things simple. Hopefully I can execute some the things he talked about on yesterday's show. "Keeping flat surfaces clean" really stuck with me cuz my dresser is always piled with clean clothes to put away and mismatched socks for 5 people! Good luck finding your medium! great post! i hear ya! 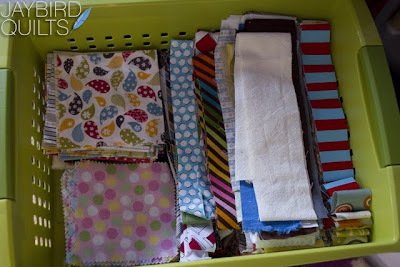 I keep thinking I can sew my way out of the clutter and excess fabric. I'm really not sure if I'm making progress or not, so probably not. It's amazing what you find when you de-clutter! My biggie is the dining room table-everything gets dumped on it! Oh my. I hit spells when I'm very busy and don't even see the mess then suddenly I see it all and can't do anything until it gets straightened up. Terrible cycle but very much part of my life. I wish I could just stay on top of it all the time. Enjoy getting things organized! Now I am not a tidy person, but I do want to change this. Peter Walsh has so good advice thanks for sharing that, I will start there. Was that the Remix quilt basted? Wow that was quick. I know that feeling, I clean, then I quilt, so it ends up the same anyways, lol. My big thing is finding things, I hate wasting time, trying to remember where I put something, so I need to organize my tools and supplies better. Good for you getting organized. I'm not totally organized...and it gets annoying when you know something is there and you can't find it. I try to clean up my space frequently, but it's always messy again in no time at all! We are totally cut from the same cloth. Pun intended! I'm on a similar mission myself, trying to find the happy medium. Good luck! Ugh, I agree. I love Peter too- and the whole flat spaces should be clear was a biggie. 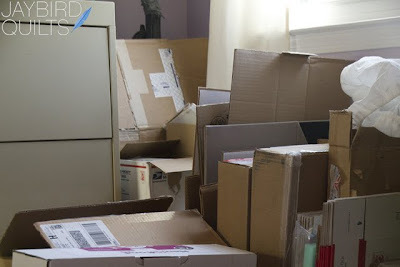 Tomorrow I am mucking out my craft/sewing room! We are all on this search for a happy medium. I need to be more organized and develop my system....currently, it is just piles! I totally agree with "a place for everything and everything in its place" but I always seem to have more things than places! I like organization. I feel uncomfortable when things get out of control. Yet things are constantly going from organized to messy to out of control. I cringed when I read "flat surfaces should be clear." But where do you put your PILES then??? I heart piles. I also heart my massive attic and trash bin. It's where the piles go when I've finally had enough of them. Thanks for sharing Walsh's organizing tips. If only I could convert the rest of the household into members of the organized club. You and I are kindred spirits in this way. My my your closet and piles looked just like mine. I have been reworking my whole basement to be a user friendly work environment, but it is a lot of work. The state things were in, was beyond out of control and headed for Hoarders. With the help of Ikea organization, and some innovation it is coming together finally. I still have some more piles to tackle and am tempted to just give the rest away. So glad to know I am not alone! All I have to say is "yep, me too!" Oh, man, this is so cool! I loved Peter Walsh when he was on TLC's Clean Sweep and I didn't know he had his own books/DVDs and stuff! Very cool! I am definitely a person who has to be constantly vigilant with my organization. Not natural, not a hoarder, really bugged by the mess, but always fighting it. Thanks for the inspiration (and the tips)!